I would like to request a forum, guess you could tell that by the thread title though, oh well here goes anyway. The Four Horseman of the Ascension. A decade after the end of the War for Ascension, a band of mages will try to re-awaken the Sleepers and defeat the Technocracy. This will be a game set in the White Wolf Mage the Ascension world. It will be a cherry picked and heavily house ruled game of adventure. 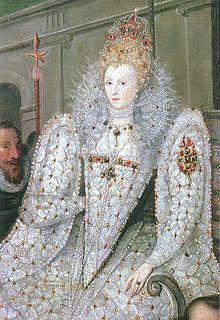 Oh and how about Elizabeth the 1st as a virgin sacrifice. Whoops almost forgot, the player. Thanos, Toc-Rat05, Lawwnum, and one person yet to set up an account will be playing. Last edited by qwerty123; 14th of January, 2012 at 15:29. On a side note, my introduction to WhiteWolf was from reading an Ascension game (still archived on Orp), but I was never able to enjoy playing it. Still, good to see another one back on here. Wow, that was fast. So I guess the virgin sacrifice really does help. Have to say, I played White Wolf for years. Really looking forward to this Mage game, by far it is my favorite system for handling magic. That so wasn't fast, it took me 5 hours in the middle of the day.